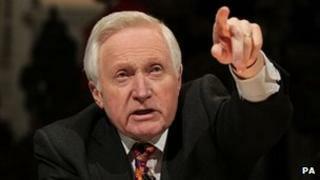 The weekly discussion programme, chaired by David Dimbleby, will be preceded by extra discussion of the issues making news, starting at 22:00. Executive producer Steve Anderson said the decision was a "testament to Question Time's importance". The show will be followed on BBC Radio 5 live with a further public debate. The station's political editor, John Pienaar, and presenter Stephen Nolan will go through the topics addressed during the show. And the Pienaar's Politics show, on Sundays, will move from an evening slot to 10:00. Mr Pienaar said: "With a coalition government in office, and the country still in an economic hole, it's important to watch our politicians, explain what they're up to, and hold them to account - while also allowing them to speak for themselves. "I'm delighted to be a part of these schedule changes, which will allow us to put an even greater emphasis on strong political debate, and hopefully bring programmes to as many listeners as possible." Question Time is a Mentorn Media production for BBC Scotland.